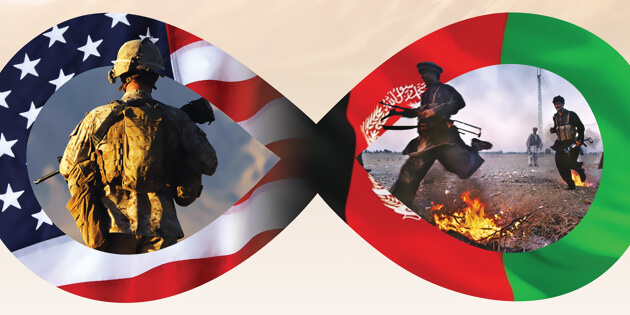 Part of the answer is that Afghanistan’s toxic mix of “state collapse, civil conflict, ethnic disintegration and multisided intervention has locked it in a self-perpetuating cycle that may be simply beyond outside resolution,” as Max Fisher and Amanda Taub summarized in a New York Times post. But their diagnosis does not speak to a critical dimension of the conflict: namely, how the relative indifference of the U.S. public has allowed the war to drag on. In theory, leaders in a democracy have incentives to heed public preferences or risk being voted out of office, which means that public opposition to a war makes its continuation untenable. Yet when it comes to Afghanistan, the U.S. public has favored the status quo at best and expressed deep ambivalence at worst. In polls taken a year ago, only 23 percent of Americans believed the United States was winning the war in Afghanistan, and a plurality (37 percent) supported a troop drawdown. At the same time, however, 44 percent wanted to either keep troop levels about the same or increase them, while 19 percent did not have an opinion. Another poll showed that 71 percent of respondents agreed that “full withdrawal of U.S. troops from Afghanistan would leave a vacuum that would allow terrorist groups like ISIS to expand.” Americans are not necessarily enthusiastic about sending more troops to Afghanistan, but they certainly are not clamoring for withdrawal. Contrast this with the vocal opposition to the Vietnam War. What began as a small antiwar movement in 1964–65 scaled up as the war escalated in 1966, giving rise to massive protests in 1967: 100,000 people marching in Washington, D.C., and half a million protesting in New York City. Passions in the antiwar movement reflected opposition in the public as a whole. Most Americans knew little about the war until the Johnson administration ramped up troop levels, but as it became clear that the war would be long and protracted, elite disaffection increased. And public opinion, dragged down by the unpopularity of the draft, began “a path of slow and steady decline” from which it would never recover. When citizens were asked in 1965 whether sending troops was a mistake, only 24 percent agreed. Three years on, 46 percent said yes. By 1970, the proportion rose to 57 percent, and it remained at around 60 percent until the end of the war. That public disaffection at home hastened the end of the Vietnam War is now widely acknowledged. By contrast, the American public has so far failed to turn up the heat on leaders to end the war in Afghanistan—even though few think that the country is winning. Protests against the war have been few and far between.